Allison, John. The slavery question. Speech of Hon. 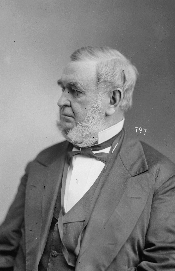 John Allison, of Pa., delivered in the House of representatives, April 1, 1856. [Washington, D.C.: Buell & Blanchard, printers, 1856]. . The Summer assault. Speech of Hon. John Allison, of Pennsylvania, in the House of Representatives, July 11, 1856. Washington, D.C.: Buell & Blanchard, printers, 1856.